We are pleased to inform you of the result of the Atlantic lottery Corporation International promotion programs held on the 30th of Jan, 2006. 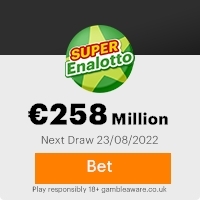 Your e-mail address was attached to ticket number 033-1146993-750 with serial number 3-15-16-21-34-36, which consequently won in the 3rd category, you have therefore been approved for a lump sum pay out of $2.5 million in cash credited to file number ALC/38807886091/05. Your fund is now deposited with a company insured in your name. Due to the mix up of some numbers and names, we ask that you keep this award strictly from public notice until your claim has been processed and your fund paid to you. For due processing and remittance of your prize to a designated account of your choice.Be categorically inform that any necessary obligation/requirement should be met by all winners before payment of your fund to you. Previous: AWARD.Fresh ScamsNext: RE: AWARD NOTIFICATION ... TICE. This Email with the Subject "Award Notification!!!" was received in one of Scamdex's honeypot email accounts on Thu, 04 May 2006 15:45:18 -0700 and has been classified as a Generic Scam Email. The sender shows as =?iso-8859-1?q?thomas=20smith?= <thomas101smith@yahoo.co.uk>, although that address was probably spoofed. We recommend that you do not attempt to contact any persons or organizations referenced in this email, as you may expose yourself to scammers and, at the very least, you will be added to their email address lists for spam purposes.